This post contains affiliate links at no additional cost to you. Thank you so much for supporting Pennies Into Pearls by using my links! Now, onto our topic of summer meal planning for beginners. When life gets crazy my biggest tip for meal planning for beginners is to make freezer meals! The easiest way to tackle this task is to meal plan meals that can easily be duplicated in one night. Then it’s as simple as eat one that night and freeze the other for a busy night! In this month’s meal plan on a budget I am doing exactly that! I’m thinking ahead. In just a few weeks school starts and we will be right in the middle of soccer season. That means a busy, busy, busy schedule! So for everyone who is looking for tips on meal planning for beginners, pay attention to all meal ideas that have a “(2)” next to it. Those are the freezer meals that I plan to double. That means I will buying double the ingredients. Does that double our budget? Nope! Even with doubling some of our meals, we still stick to our monthly grocery budget of $400! It isn’t an exact mathematical equation but it works! For most recipes you aren’t using the entire package of every ingredient anyways. It works out most of the time to cost about ¼ of the price to create the second meal. That is a huge savings! Questions About Monthly Meal Planning for Beginners? Pearl! I got you! Make sure you read this article on how to meal plan for beginners. In there you will find all the tips you need to make sure that you plan to the best of your ability and stay on budget! 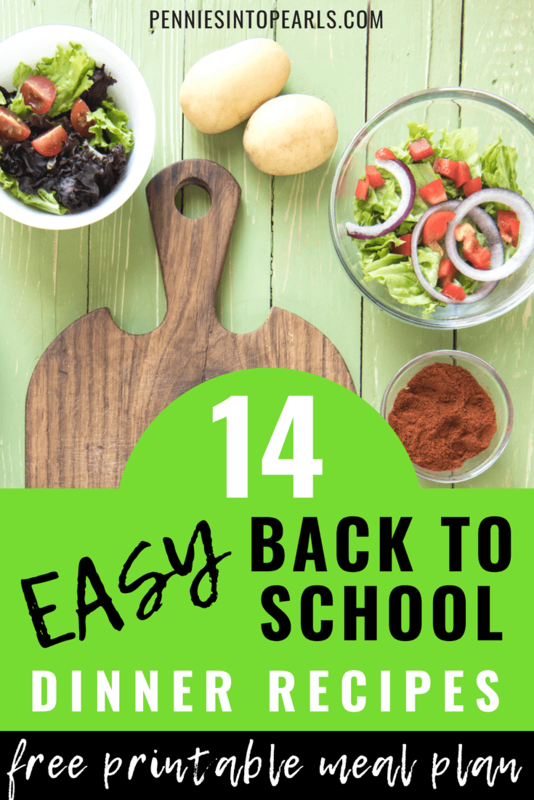 I’m also always sharing our daily frugal living tips for back to school survival over on my Instagram stories! It’s super fun over there so don’t forget to follow along! No mom has the time to spend continuously scanning apps looking for the best rebate offers and sales. Which is why I have minimized my rebate strategy to help maximize my savings in the smallest amount of time. If you are new to Ibotta, sign up using this link or the code: qybjrj and you will automatically get $10 after you claim your first rebate! So easy! 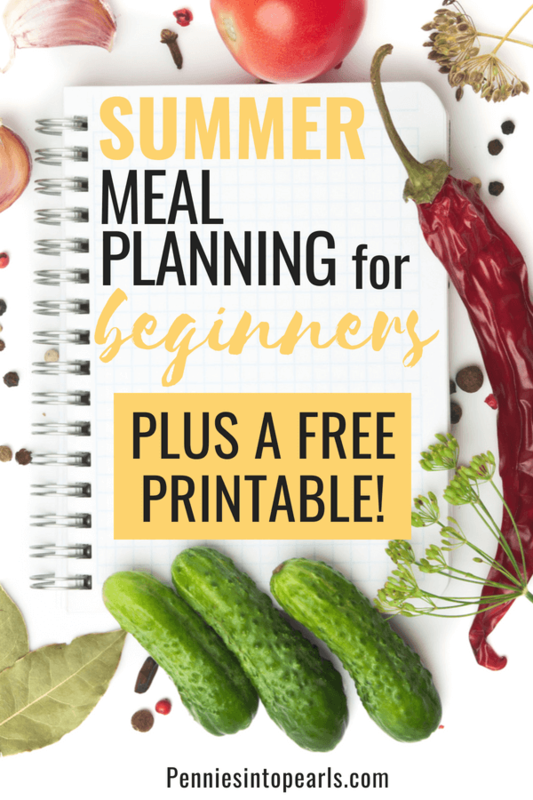 Do you want to get my monthly meal plan printables earlier? If you sign up for my weekly newsletter, you will get them the week before the new month starts! Pretty handy right? You can download this month’s budget friendly meal plan by clicking the image below. Take a peek at what it looks like to buy all non-perishable or freezable groceries for this exact meal plan.